Crystal structure from the mobile metagenome of Vibrio cholerae. 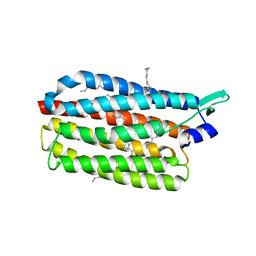 Integron cassette protein VCH_CASS2. Deshpande, C.N.,Harrop, S.J.,Boucher, Y.,Hassan, K.A.,Leo, R.D.,Xu, X.,Cui, H.,Savchenko, A.,Chang, C.,Labbate, M.,Paulsen, I.T.,Stokes, H.W.,Curmi, P.M.,Mabbutt, B.C. 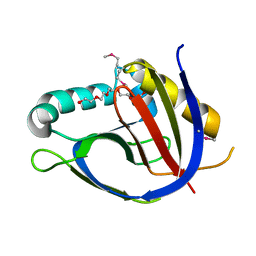 Crystal Structure of an Integron Gene Cassette-Associated Protein from Vibrio cholerae Identifies a Cationic Drug-Binding Module.